Hello writer. Are you dreaming of writing a novel this year? Then you’re in the right place. Are you ready to finally write that book you’ve been procrastinating on? Is it your dream to become a published author by the end of this year? Have you been struggling for years with sorting out your ideas, and turning them into a proper story? Have you been struggling with too many distractions, time constraints, fear of rejection or self-doubt? Are you feeling overwhelmed with the thought of writing so many thousand words? Would you like clarity and exact step-by-step guidance to help banish confusion and get you writing with ease? Then this 5-Part Audio Series + Workbook is exactly what you need! Hello writer. 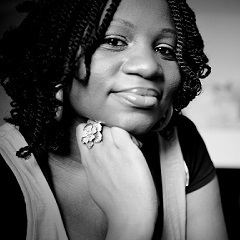 My name is Tolulope Popoola, and I’m an Author, Publisher and Writing Coach @ Accomplish Press. I know what it’s like to struggle with writing a novel. When I first started writing in 2006, I made many mistakes until I got mentors to help me with writing my own novels. And in my line of work, I come across many struggling writers and aspiring novelists, who have great ideas, but need something to help them break through the obstacles in their writing journey. Some of those obstacles are: feeling overwhelmed, writer’s block, procrastination, struggling with too many distractions, time constraints and battling self-doubt. You may even recognise some of these obstacles yourself. That is why I have created this mini-course to help you go from confused to confident in just one week! This mini-course is designed for aspiring novelists. If you’ve always wanted to write a novel, and you’ve been thinking about it for a long time, then you should take this course. If you’ve always wanted to write a novel, but you don’t even know where or how to start, then this course is for you! In just one week, you’ll have the knowledge and clarity you need to move forward with your writing project. How to write your outline and synopsis and lots more! At the end of the 5-Day course, you’ll get a Bonus Coaching Session with me for 30 minutes (worth $50) to help you clarify your ideas, and give you feedback on the progress you’ve made so far. I will also give to advice to help you keep the momentum going so that you complete your first draft in a short time! Once you register, you’ll also get access to a private Facebook group where I interact with my clients on a regular basis. You can ask questions, post some of your work for feedback, and interact with a community of other writers who are working towards the same goals. Just imagine how awesome it would feel to finally start writing the book you’ve always wanted with ease. Now imagine how amazing it would feel to type “The End” when you finish your manuscript! Visualise how wonderful it would be when your manuscript is published and you become a published author! Think about the mind-blowing, incredible moment when you’re finally holding your very own book in your hands…. Start that journey now. Take the decision. Your book will not materialise by thinking about it, wishing it, or dreaming it. You have to commit to it, and make it happen. Sign up for this mini-course to give you the tools and strategies that you need to get started today. The value of this course cannot be overstated. You’ll get access to a week’s worth of audio recordings packed with information that will help you get started with writing your book. You’ll get workbooks along with the audio recordings, so that you can start working on the concepts you’re learning right away. You’ll get a free coaching session with me, to help you continue to move forward. You’ll get access to a community of writers who are working towards their own novels too, so that you encourage each other and keep each other accountable. You’ll get all the clarity and confidence you’ve been looking for within just a week. The full value of this course is $197, but it’s available to you for just $97 $47! right now? Kick-start your novel by preparing ahead, and make your novel writing dreams come true in 2016! 1 Can I retake the course? 2. Will the course take exactly five days? The contents of the course are designed to be completed in five days. However, since it is a self-study course, you can choose to go at your own pace. You can work through the material in a shorter time, or you can spread out the workbooks, so that you cover the material in-depth over a longer time. 3. Will I be allowed to keep the course materials? Yes, you can keep the workbooks and audio recordings, however please do not share them without permission, as they are copyrighted materials. Please send an email to coaching @ accomplishpress.com if you have any questions that haven’t been addressed on this page. Thank you.